Description New York, New Haven & Hartford (NYNH&H, N.Y.N.H.&H.) 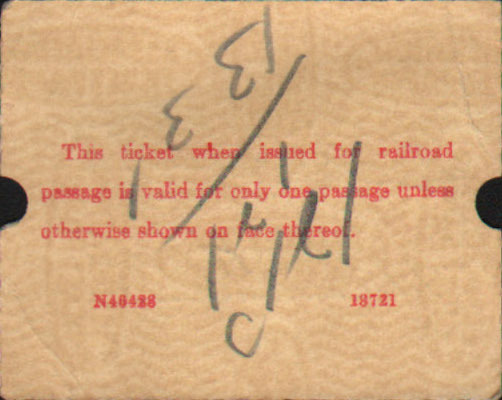 Railroad 1956 Computer Printed Form - Using the Burroughs Ticketeer System. 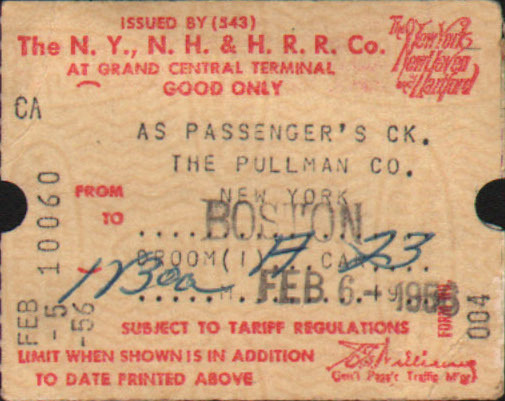 The N. Y., H. H. & H. R. R. Co. At Grand Central Terminal - Good Only As Passenger's Ck. The Pullman Co.